The Epps group is looking for qualified post-doctoral candidates interested in working on renewable polymer synthesis and characterization, solid-state electrolytes, polymer thin films, metal organic framework (MOF) composites, and polymer-based drug delivery vehicles. Applications are reviewed on an ongoing basis. Interested applications should send a CV, including a list of publications and contact information for three references to Thomas Epps (thepps@udel.edu). The Epps research group seeks motivated and talented doctoral students to perform research in the areas of polymer synthesis, characterization, and applications. Students must first be accepted into the University of Delaware Chemical Engineering department. Information on applying to the department can be found on the UD website and the department website. Students joining the group commonly, though not necessarily, have backgrounds including polymer research or polymers classroom work. Interested students are encouraged to contact Dr. Epps and his students to find out more about our research and open doctoral positions. Please use the contact form below and include your current CV. 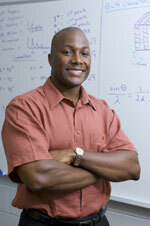 The Epps research group seeks motivated and talented undergraduate research students. No prior knowledge in polymer science is required. Undergraduate research exposes students to techniques in polymer synthesis, characterization, and applications. Furthermore, students can acquire a feel for the type of research performed at a graduate level including potential opportunities for publication and conference attendance. Research positions are often flexible enough to work around students’ class schedules and other prior commitments. Some research students in the past were only available over winter and/or summer breaks. Interested students are encouraged to contact Dr. Epps and his students to find out more information about our research environment and project opportunities.